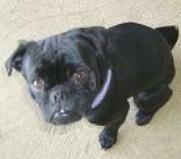 Sammy is a fun 3 year old male pug mix. He is a happy dog, very active. Sammy will require a secure fenced yard.